I made some awesome meringues today. I experimented by adding dark chocolate and ground toasted almonds and WOW, they were soooo good! I used my plain meringue recipe and just added the chocolate and nuts. They turned out a little rounder and not as spiky but who cares? They were delicious. 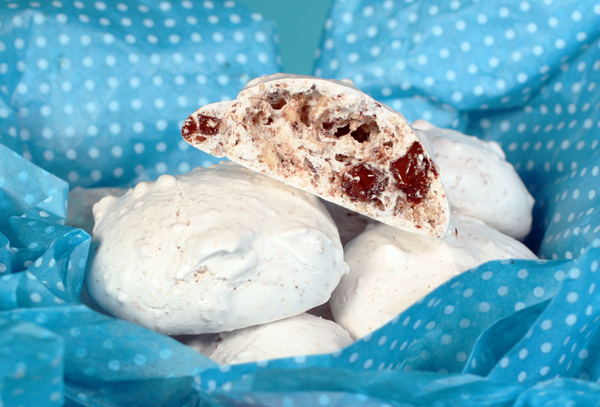 Click here for the plain meringues recipe.